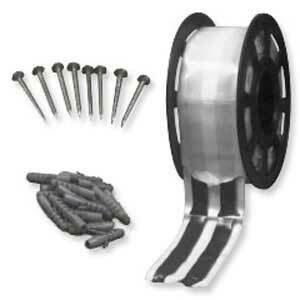 Fixing pins, fixing bolts and adhesive tape options for Kerbhopper, Safetycross and Roadplate ramps / trench covers. As they say, a chain is no stronger than its weakest link. In the same way, the performance and functionality of the Kerbhopper, Safetycross, Roadplate ramps and trench covers depends upon the correct components being used to fix them in place. We have a range of fixing accessories for these products to enable you to install them to various surfaces. There will be times when you need to fix a ramp or trench cover to hard surface but the use of fixing pins isn’t possible, in this instance the adhesive tape would be an alternative way to secure the cover. Our adhesive tape is available in a roll of 16m. Fixing bolts, available in a box of 50, are an essential component for Roadplates. 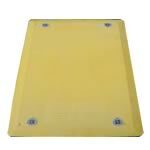 This trench cover must be securely held in place and fixing bolts ensure a safe and effective installation. Fixing pins, available in boxes of 200, are compatible with all Kerbhopper and Safetycross products. As with all ramps and trench covers they must be securely fixed in place to make sure there is no danger to workers or the general public. Fixing pins are the recommended method of securing these products and should be used each time the Kerbhopper and Safetycross items are installed.